Erika from MCM Mama Runs, Marcia from Marcia's Healthy Slice and Patty from No-Guilt Life.This week's topic is Brands. I have a rule that I will only support something I use and love. I have had others to promote a product but if I don't use it, I don't believe I can do a good job promoting it. Vega sport-I use their pre hydration, post hydration and protein. Some of the only protein powder I actually like! Skechers performance shoes-I train in a wide variety of shoes but I race exclusively in Skechers and I love them. ​What are brands that you like? Erika from MCM Mama Runs, Marcia from Marcia's Healthy Slice and Patty from No-Guilt Life.This week's topic is Race Shirts. I love me some race shirts! I have talked about in the past how I keep all of my race shirts and wear them for training. However, there is one thing I don't like to do: wear the shirt before I finish the race. Part of it is because I am superstitious, part of it is I think it is silly to wear a shirt for a race that you have not complete yet, but really the true reason is the "nothing new on race day" rule. I train in shirts and outfits I will wear. I have had issues with shirts chafing or bunching up or doing weird things on training runs so I can't imagine what could happen if I wear a shirt without testing it. Now most of the time the race shirts are similar so I would be fine, but what if I wasn't? and especially with all of the challenges I do, that would not be good. But let's also keep it real here, when you don't know what the color or design of the shirt will be, how will you be able to match it with cute bottoms or a skirt? too much work! anyways, how about you? Do you wear the race before you finish the race? Erika from MCM Mama Runs, Marcia from Marcia's Healthy Slice and Patty from No-Guilt Life.This week's topic is Things I don't like about running. Last weeks post was on the things I love about running and this week is things I hate. Hate is a bit of a strong word so let's say things that I don't like too much. Running is such an individual sport so there are few things I don't like about it. If there were more things, I just wouldn't do it. However there are 3 things that really bother me. This is basically for rundisney races and other popular races. Social media has made it easier to learn about races and learn tips for races but it also has caused a frenzy. For example, rundisney moved the registration for Wine and Dine back 2 weeks and people have gone crazy-freaking out, taking off work, etc. sometimes it's good just to take a break and breathe and know it'll be okay. Usually around crazy times, I try to stay away from social media on those topics. I don't mean this in etiquette ways which also bothers me, I mean this in people thinking that you have to do X to be considered a real runner. X could be a time or a race or wearing an outfit or run without stopping. I personally believe anyone that wants to run is a runner! No rules or regulations! It has taken me awhile to really understand that I am a runner. Even though I don't consider myself fast, even though I'm always working on getting faster and improving, there are others that see my progress as motivating and that is true for everyone! This one really does bother me! If you are going to run a race-make sure to train for it. I don't see the point of not training and potentially really injuring yourself. As I run a lot of rundisney races, this comes up a lot. People thinking they can run a race on pixie dust and hope. Or even worse, people knowing they won't train and will get swept. Make sure when you plan for a race that you do everything you can to get to the start line healthy and prepared. So that's it for me. I don't like posts to come off as negative but I believe in keeping it real! How about you? What are some of your dislikes or pet peeves about running? Erika from MCM Mama Runs, Marcia from Marcia's Healthy Slice and Patty from No-Guilt Life.This week's topic is What I love about Running. The best thing about running is twofold: one is the personal effects and second is the community. I love that running is something that is good for my body and also something I'm excited to do. Since I've been running, my endurance has definitely increased and I'm slowly picking up speed and I love seeing the changes in my body from running. I love how much fun it is to race especially in costume. The second is the running community. 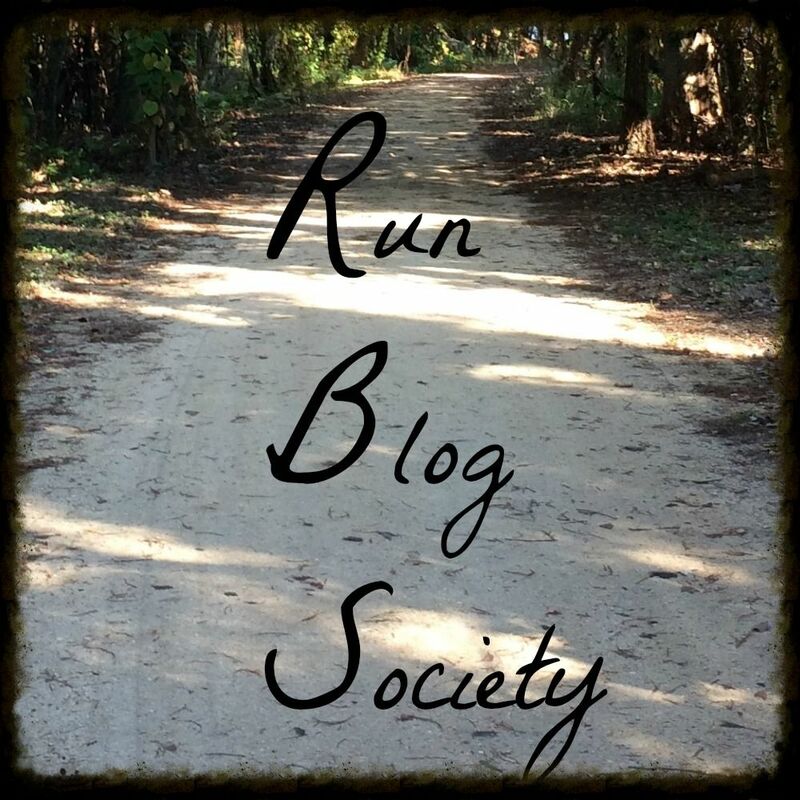 I love writing this blog and getting to interact and meet new runners. I love joining running groups like We Run Social, BOGP Lizards, and nT#urd and going to meet ups and meeting in real life people you interact almost on a daily basis. Erika from MCM Mama Runs, Marcia from Marcia's Healthy Slice and Patty from No-Guilt Life.This week's topic is Outfits. When it comes to outfits, I'm pretty set in my ways. My typical training outfit is above: headband, race shirt, shorts, running belt for my keys and running shoes. I'm currently breaking in about six pairs of shoes (yes, you read that correctly!) and pick them at random. It's usually 60-75 degrees so this outfit works. If it is cooler, I will add on a long sleeve shirt and if it drops below 45/50, I will add capris. If it's in the 40s or lower, I'll add gloves. For long runs, I'll add a hat and compression socks depending on the distance. Now for races, if it is rundisney, i will be in costume of course (all my princess recaps will be posted this week! Yay). How about you? What do you usually wear? Erika from MCM Mama Runs, Marcia from Marcia's Healthy Slice and Patty from No-Guilt Life.This week's topic is Spring races-here you go! The LA marathon is a just over 2 weeks away and I am already getting nervous. This is my third time running and I am really hoping for a sub-5 marathon and a new PR! It is my only marathon for the year so I want to do well! Glass Slipper challenge the next week will be a nice recovery weekend-I do not plan on speeding through but plan on stopping for a lot of pics and my costumes are almost done! I have been wanting to do the Coaster Run for awhile so I figured why not now? I am not sure this will be a PR as I have an All Day Running Clinic the day before but who knows! Pacific Half marathon will be a beautiful half marathon but the elevation is a bit all over the place. I plan on running it as strong as possible but if the elevation is super taxing, then I won't push the pace. Carlsbad All Day 20k will be a very unique experience and should be super fun. It will also serve as my taper for Dark Side. Since I will be running 4 5ks, my plan is to use the first one as a warm up. The second one a bit faster. The 3rd one (my age group) as a PR attempt and the last race as a cool down. We will see how it goes! The next weekend is the Santa Anita Derby 5k as I loved this race last year. It should be fun and I will base my performance on how the 20k went the week before. Star Wars Dark Side: all 3 races. My costumes are coming together nicely and I am SO excited to see how this will go. I think it will have great photo opps but the weather may be difficult. This will serve as my taper for Tinkerbell. and finally the RnR San Diego. I will run the 5k the day before as a warm up (and it should also be on part of the course so I can get a feel for it) and then try and PR the half. They have a new course coming so I will need to study the elevation but I definitely will be trying my best. I may throw a random local race in there but will keep the summer mostly to just training as I will be defending my dissertation proposal, along with taking 2 summer classes and traveling like crazy (SD for RnR, Texas end of May and beginning of July, NYC in May) so I will be busy and stay busy. Once August hits, I won't have class anymore!! AHHH! just dissertation! ​So that is all I have now. How about you? What are your Spring race plans?